Name Necklace. Custom Sterling Silver Name Necklace. Personalized Silver Name Necklace. Script Name Necklace. Silver Wire Name Necklace. 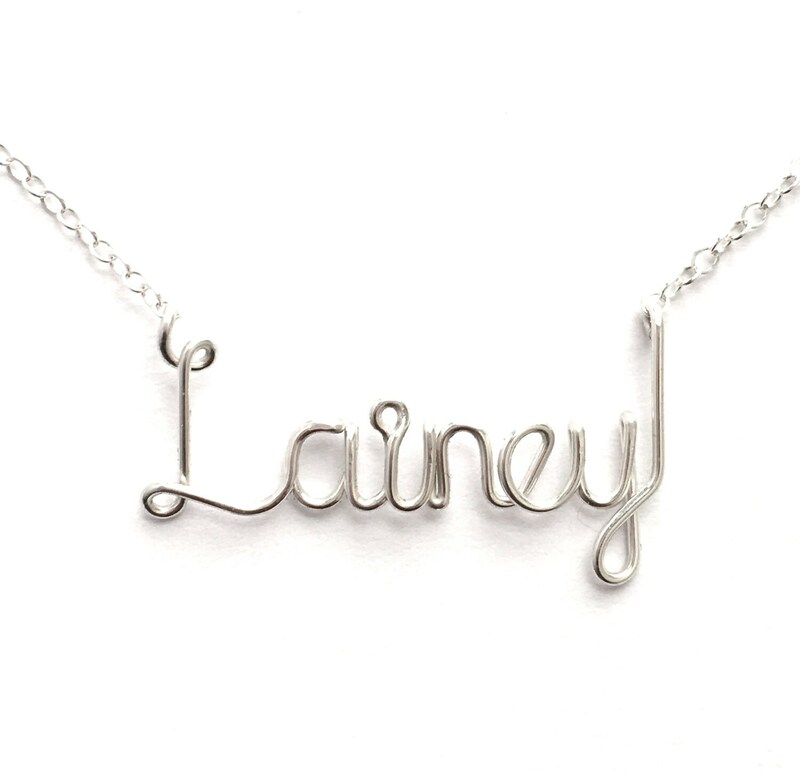 Personalize this custom sterling silver name necklace up to 10 letters long. Your name necklace will be hand formed with sterling silver wire and hung on a delicate feminine sterling silver cable chain. As seen on Huffington Post, WPIX TV and in The Santa Barbara News Press. ◊◊ The width of the name portion is about 3/4 inch to 2 inches wide, The length of the necklace you select will include the name and the chain. The model is wearing a 17 inch necklace. ◊◊ I'm happy to ship directly to your recipient and add a personal gift note in your order, just let me know at checkout. Your necklace will be gift wrapped. Bendable...would have liked something a little more sturdy for my daughter otherwise fine.